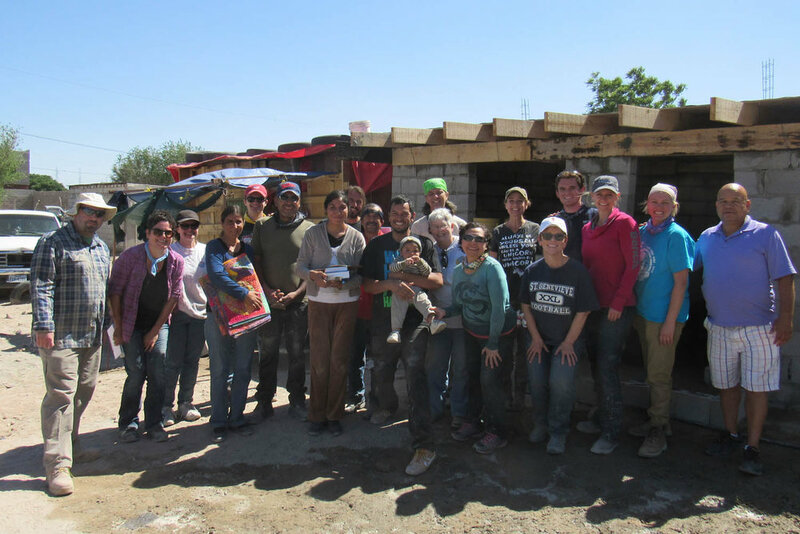 Stonebridge UMC partners with Proyecto Abrigo by sending two teams each year to help build homes. Our next trip is scheduled for April 4-7. To sign up for this trip or for more information, contact Kim Prudhomme. All who have been on a previous trip or are interested in the spring trip are invited to a dinner Tuesday, February 26 at 6:30 p.m. Please RSVP to Jay Prudhomme. Never served internationally? Love to serve internationally? This serve trip is for you! 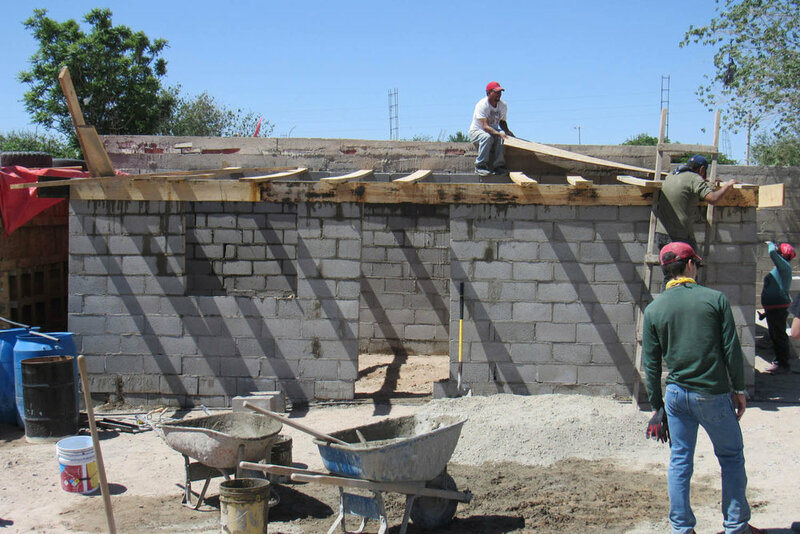 Join us in Juarez, Mexico and help build homes with Proyecto Abrigo. No craftsmen skills or experience necessary. Come as you are and get ready to experience and share the love of Christ in new and profound ways. This trip is the perfect trip for those who want to experience serving abroad for the first time. Teens are welcome with their parents. Contact Kim Prudhomme for more information. Proyecto Abrigo was founded in 1996 by Rev. Jose Luis Portillo in Tierra Nueva, Mexico. 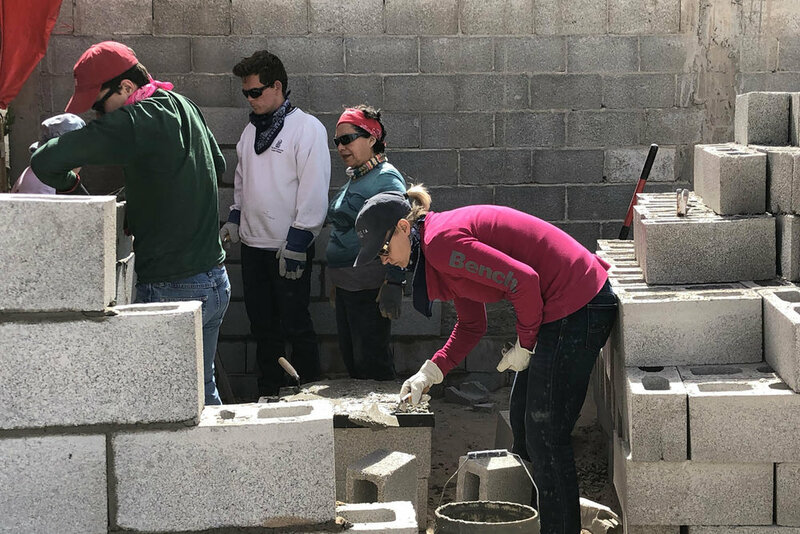 Since then, over 7,000 homes, two churches, a medical clinic, and a vocational school have been built to serve the poorer communities outside of Juarez, Mexico. The houses, built of cinderblock, measure 12′ by 24′ and have a cement floor. Each team is aided by maestros, who show the team how to mix the mortar and cement and lay the blocks. The family, when able, often helps the team with the building of their new home. At the end of the week, the team and family participate in a house dedication. 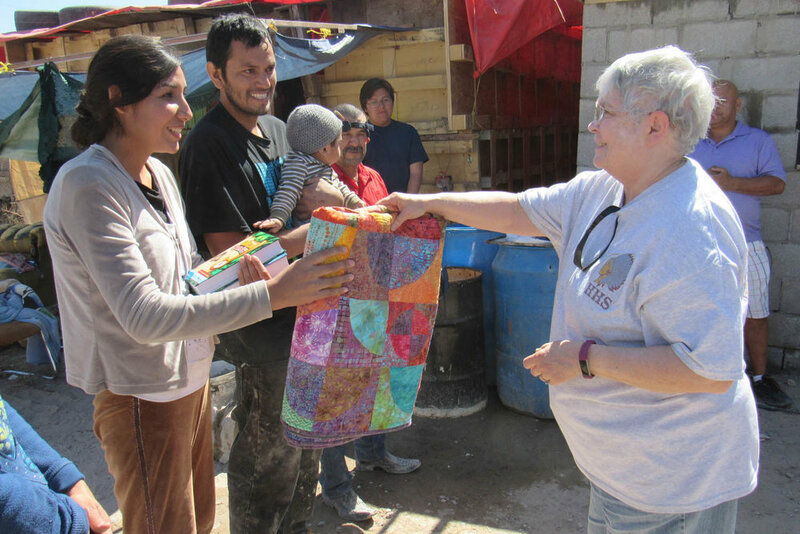 To learn more about Proyecto Abrigo, click here for their website.